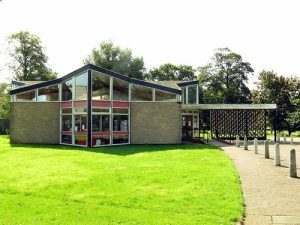 Reading Room and Library – We are pleased to be able to report that one of the most useful institutions in this parish is about to be re-opened for the summer season. It is to be greatly regretted that such a room as this cannot be kept open during the winter months. 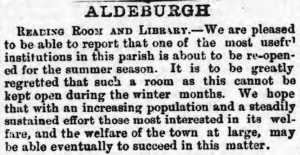 We hope that with an increasing population and a steadily sustained effort those most interested in its welfare, and the welfare of the town at large, may be able eventually to succeed in this matter.